Will Facebook Announce New Atlas Advertising Platform at Advertising Week 2014? After Ad Age broke the news last week that Facebook was revamping Atlas, formerly Atlas Solutions, the ad network Facebook acquired from Microsoft in February 2013, The Wall Street Journal uncovered more details Monday, speculating that an official announcement will come during Advertising Week 2014 in New York next week. Ad Age reported last week that Annalect data vendor Neustar is part of a deal between Atlas and advertising holding company Omnicom — parent of agencies Omnicom Media Group, BBDO and TBWA Worldwide — and Annalect head of data Adam Gitlin is one of the panelists on the session being moderated by Johnson. Ad Age reported last week that the rejiggered offering from Atlas will allow its clients to send targeted ads to potential customers on any devices they use leading up to purchases, and to use Facebook data to determine the success of campaigns, speculating that the retooling of Atlas may give the social network a way to mine more advertising revenue from brands looking to organize their digital ad spending on platforms including Facebook, display ads, search, video and mobile. The Journal added Monday that the new offering from Atlas is a re-engineered version of the Atlas Advertiser Suite that Atlas developed when it was still owned by Microsoft, and it will provide advertisers with a greater understanding of which Facebook users have seen, interacted with or acted upon ads, as well as offering an automated demand-side platform ad-buying bidding tool, targeting Facebook users elsewhere on the Internet. What Facebook is doing is potentially more powerful than what Google can currently do. A Facebook ID is the marketer’s holy grail: a persistent, high-fidelity ID for a consumer. This move further solidifies Facebook as a comprehensive marketing platform. In the race to win brand dollars, Facebook has just upped the ante by seeing Google’s “cookie alternative” and raising them one. As tech companies continue to advance features and release updates, attribution will remain both an opportunity and a hurdle for many. However, with this move, Facebook is inching closer to not only answering the online to offline dollars equation, but solving it. The only caveat is that users, of course, have to be on Facebook. 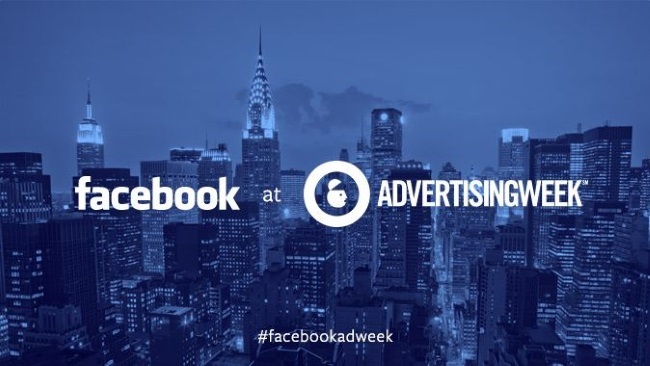 Readers: What, if anything, will Facebook announce during Advertising Week 2014 in New York next week?